I don’t know exactly what it is about the dialect of the southern United States, but I’m in love with it. Maybe it’s being raised on cowboy films that did the trick, or watching endless re-runs of Dukes of Hazzard, but that strange mix of genteel politeness and down-home aww-shuckness is music to mine ears. A perfect example of this, and one that is as extreme as you can possibly get, is the vernacular of the characters on the TV show Deadwood, which ran on HBO a few years back. When Al Swearengen spoke, it was positively Apocalyptic. Like Shakespeare raised by sailors. Father LeBlanc, a close friend of Robichaux, disappears while attempting to rescue members of his congregation trapped in his church, as the flood engulfing New Orleans during Katrina rises to biblical proportions. In the aftermath of the flood, in a city ravaged and almost hopelessly coming to terms with the chaos and devastation of the hurricane, Robichaux is unable to shake the feeling that LeBlanc was murdered, possibly for his boat, and did not simply get swept away by the tides. Few writers could have done justice to the maelstrom of fear, pain and confusion that must have reigned in New Orleans in the wake of Katrina. 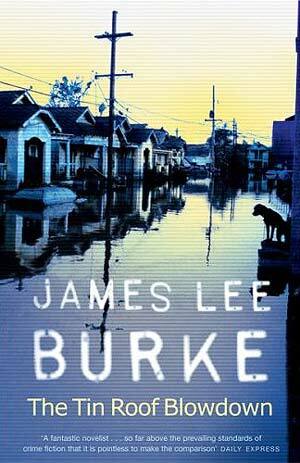 As a resident of the area, Burke keenly felt the horror of watching his beloved New Orleans get swept away under the dark tide, but also of seeing the paradoxical extremes only the human heart can reach in such a bleak season. It is in those moments of deepest tragedy that the heart of man turns to either the heights of compassion, or the depths of depravity, and it is with this notion that Robichaux must contend. The careful attention to language, as well as the vivid and true rendering of that unique character possessed by southern folk, especially Robichaux, is what makes any Burke novel worth reading. The canvas on which this story is painted, resembling nothing so much as a scene from a Hieronymous Bosch nightmare, is what makes The Tin Roof Blowdown a strong contender for Burke’s best. Another master of the dirty South thrill ride is Stephen Hunter. No one spins a yarn that moves as fast, and grips you as much, as Hunter. Whether it’s his stand-alone novels, or books from his Bob Lee Swagger or Earl Swagger series, Hunter has an uncanny ability to write books that feel exactly like you’re watching a movie. And I mean, come on… Earl Swagger? That’s a name and a half. I wish I was named Earl Swagger. 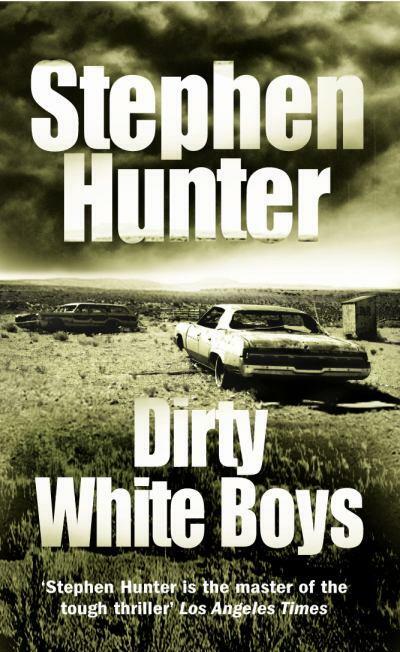 In his opus Dirty White Boys (1995), Hunter does what he does best: craft a tale of southern-fried violence and morality. There’s something almost primeval about the South that seems to cover both characters and setting with a grimy patina of sweat and dirt, of evil slithering just beneath a skin of hypocritical morality – the genteel and self-righteously moral slave-owner. In the novel, this notion is given shape in the form of Lamar Pye, a highly-charismatic, dangerously aggressive psychopath whose only care in the world is his mentally-challenged cousin Odell. The more we learn about Lamar, the more we become convinced that, had he been raised in different circumstances, he might have turned out a fine man. But he wasn’t. And he sure as hell isn’t. Lamar and his cohort escape from prison and hurtle headlong into a series of confrontation with State Trooper Bud Pewtie, a cop with his own moral failings. As with all great southern crime tales, the conflict between these men takes on allegorical undertones, not unlike those found in McCarthy’s No Country for Old Men; these are not just men opposing each other, but rather full-on ideologies. The clash is terrible. But this is no simple tale of good versus evil. In the dirty ol’South, nothing is as clear cut as that. I reckon it may be God’s own country down there, but the devil’s the landlord, and no one makes it out unsullied.